Promote respect for the interdependent web of all existence. For updates, “like” us and follow us on facebook. Won’t you consider becoming a regular supporter of TXUUJM with a monthly contribution of $50 or more? 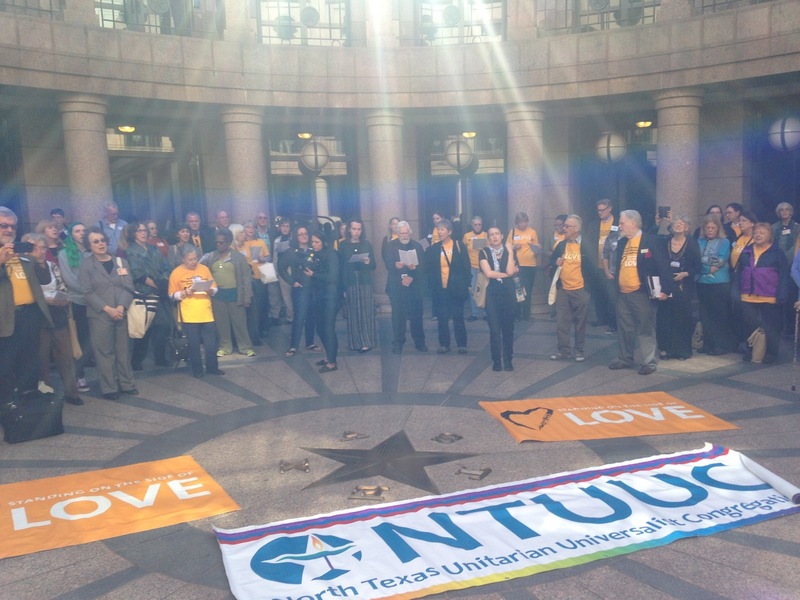 We invite you to join with every member of the TXUUJM Board of Directors and Advisory Council and become a member of the “1,000 Courageous, Sustaining UUs for Justice”. Join us today by providing the information requested in the short form below and then Clicking the Green-Bordered Button.